Since the first conference in 1993 The Compact for Faculty Diversity sponsors the Institute on Teaching and Mentoring, a four-day conference that has become the largest gathering of minority doctoral scholars in the country. 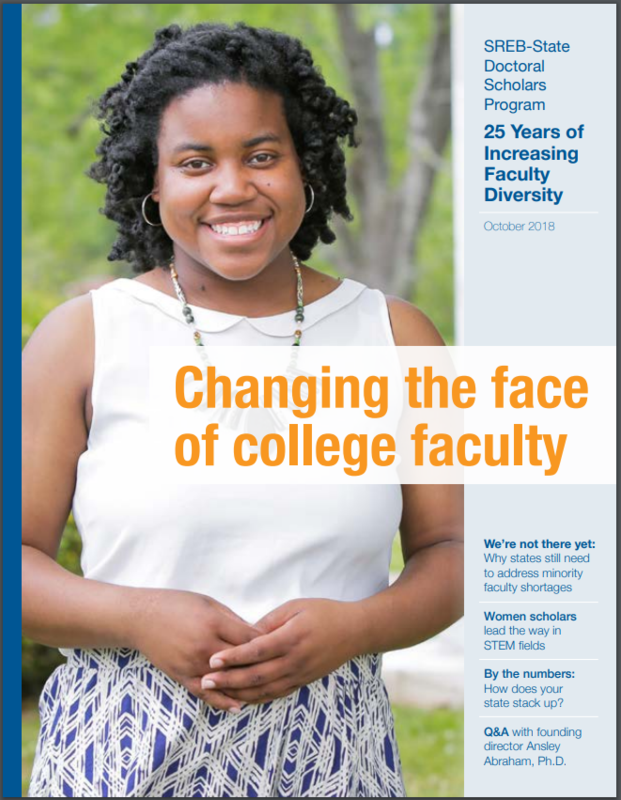 Now in its 25th year, the Institute gives the issue of faculty diversity a national focus and provides minority scholars with the strategies necessary to survive the rigors of graduate school, earn the doctoral degree and succeed as a member of the professoriate. 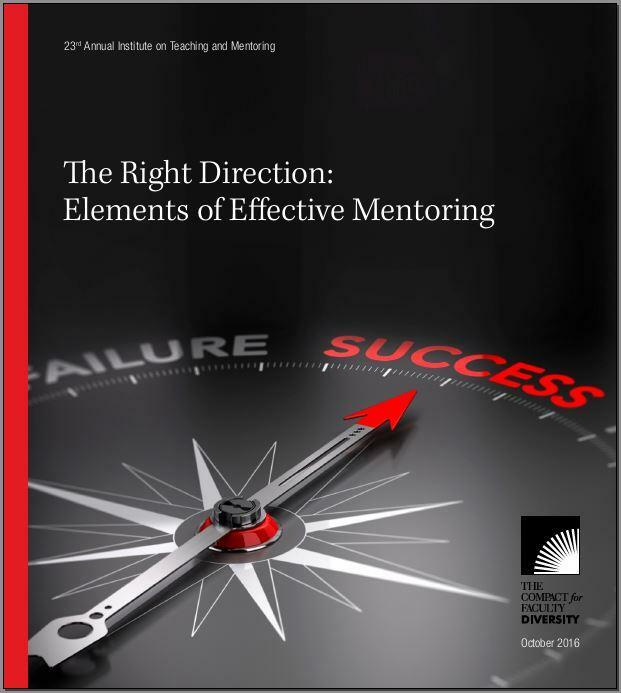 Visit the Institute on Teaching and Mentoring website for more information. A critical topic that often gets overlooked in the drive to earn a Ph.D.: taking care of yourself. 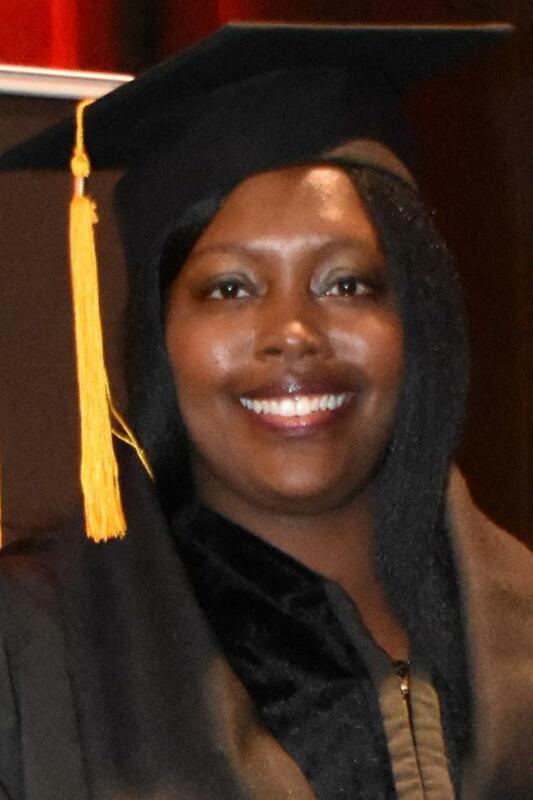 The issue was on full, courageous display at the most recent Institute on Teaching and Mentoring, the nation’s largest gathering of underrepresented Ph.D. students and graduates of color. At the banquet celebrating the previous year’s newly minted graduates, many spoke of their emotional and health struggles during their long journey to the doctorate. 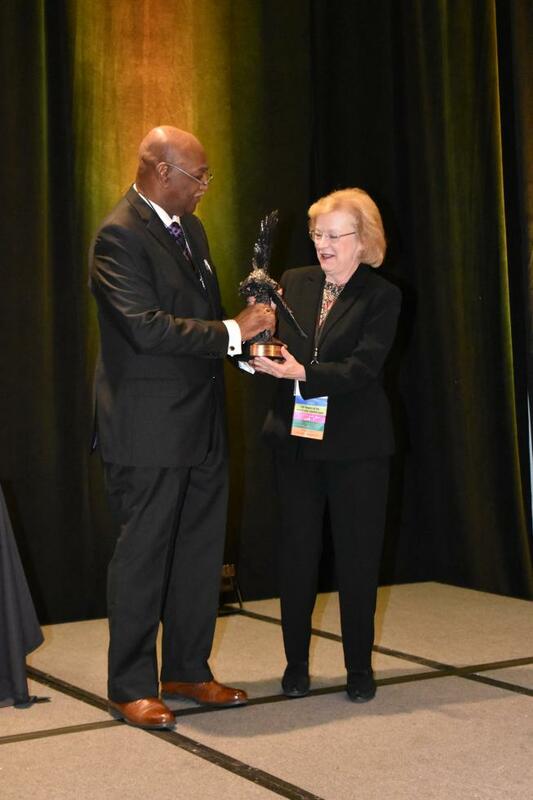 Elizabeth S. Boylan, director of the Alfred P. Sloan Foundation’s programs on STEM higher education, was honored with the 2018 Frank Abbott Award at the Institute on Teaching and Mentoring in October in Arlington, Virginia. 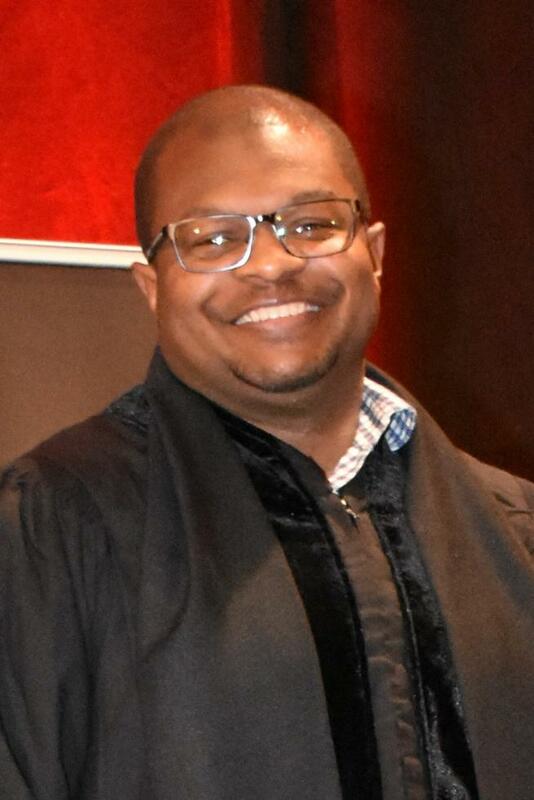 Since joining Sloan in 2011, Dr. Boylan has been responsible for the attendance of more than 1,000 Sloan scholars at the Institute and leads the design of a number of sessions at the event. 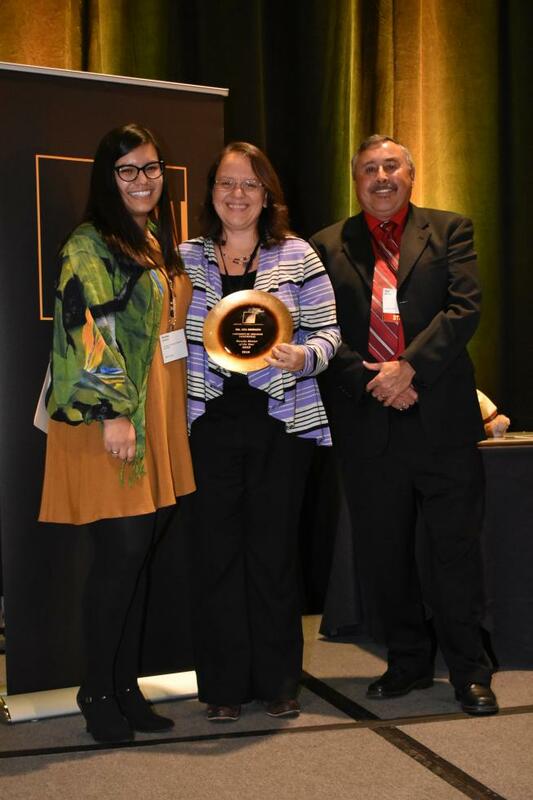 Ana Julia Bridges, an associate professor in the University of Arkansas department of psychological science, was awarded one of two national Faculty Mentor of the Year awards at the 25th annual Institute on Teaching and Mentoring in October in Arlington, Virginia. 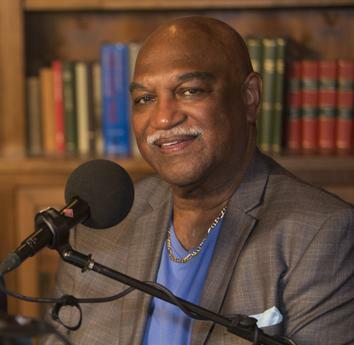 The Institute is the nation’s largest annual gathering of underrepresented Ph.D. students and college faculty members of color. 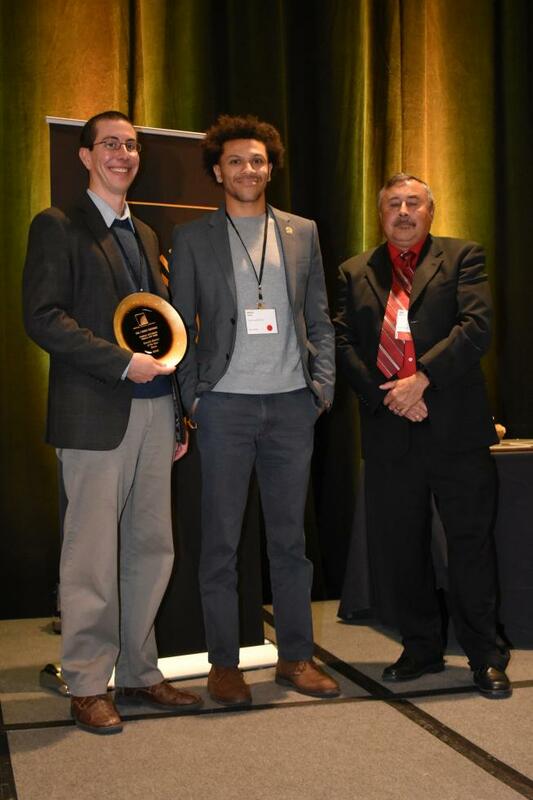 Chris Fromme, an associate professor at Cornell University in Ithica, N.Y., was awarded one of two national Faculty Mentor of the Year awards at the 25th annual Institute on Teaching and Mentoring in October in Arlington, Virginia. 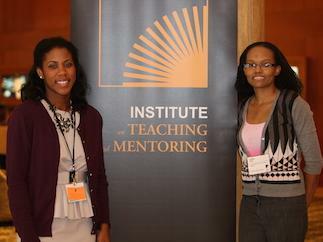 The Institute is the nation’s largest annual gathering of underrepresented minority Ph.D. students and college faculty. The nation’s largest gathering of Ph.D. students and faculty members from minorities underrepresented in higher education. A new National Science Foundation-funded study shows that the Institute is an important complement to university training in doctoral programs. 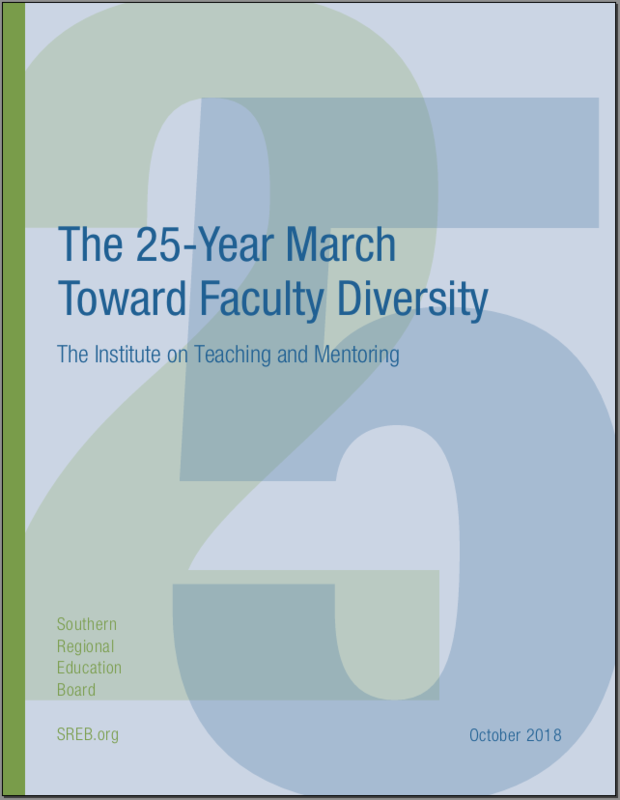 The 25th Institute on Teaching and Mentoring publication spotlights the program’s 25-year history of addressing the continuing shortage of minority professors and includes personal accounts from Institute sponsors, supporters, scholars and mentors. 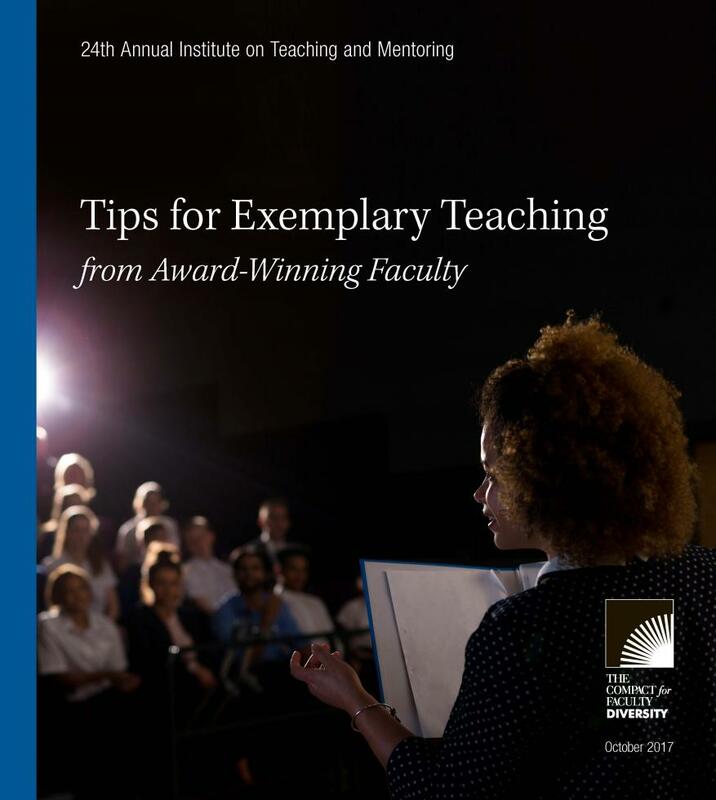 The 24th Institute on Teaching and Mentoring publication highlights the personal stories of six award-winning Institute scholars on best practices to engage and encourage students in college classrooms. 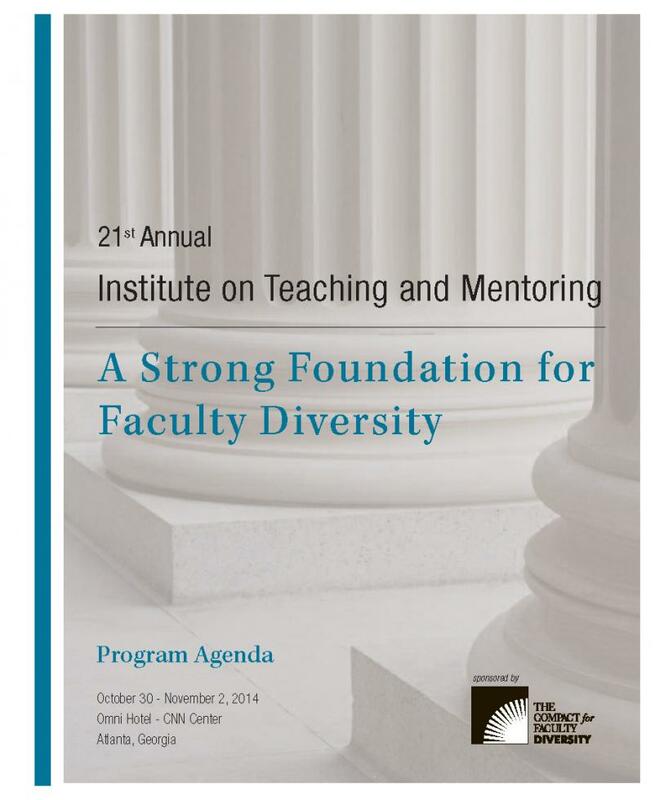 The program agenda from the 2014 Annual Institute on Teaching and Mentoring.